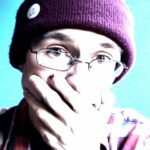 Ian Danskin is a freelance animator, writer, video editor, and visual essayist. His YouTube channel, Innuendo Studios, hosts a dozen videos analyzing aspects of gaming culture and media, including how fame manifests itself in the gaming industry, using Phil Fish of Fez as a case study; the evolution and manifestations of Sonic the Hedgehog; and how GamerGate exploited angry gamers to launch a harassment campaign. In this interview, Ian and I nearly come to blows over who made the better adventure games: LucasArts or Sierra On-Line. We then shake hands and move on to the surprise success of his debut video in 2014, and what it was like to make a video about someone who ended up seeing the video; what Ian was angry about at the age of 15, and what steered him onto the path of being a feminist, atheist, and vegetarian; why he stuck his neck out to make a video series critical of GamerGate; how the GamerGate mentality can be seen in the current political campaign of Donald Trump; how Ian’s Kickstarter and Patreon crowdfunding campaigns have enabled him to produce even more videos, despite his work’s slow gestational rate; and why Ian uses Final Cut Pro 7 (FCP7) instead of Final Cut Pro X (FCPX) or Adobe Premiere Pro.